Entry Level Lesson: just $48 for one hour lesson + 1/2 hr. free rental right after. FREE Invasive Species Permit. We will cover safety, launching, landing, mounting, dismounting, paddle & stroke technique, efficiency & duration, turning & control, balance, and more. 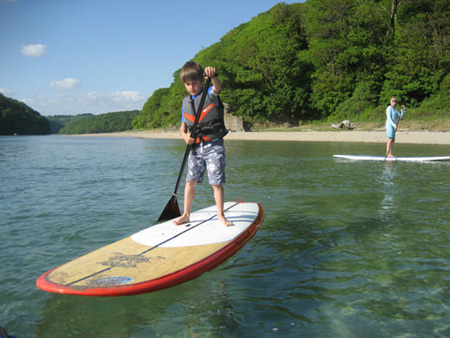 Ask about our Guided SUP Tours (Min. 4 people) Great FUN for everyone! 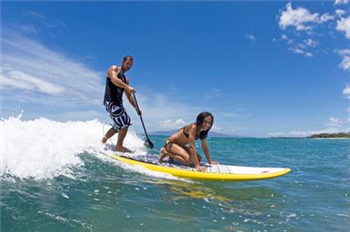 Take your paddleboarding skills and use them on waves.